You can grab a 250GB Samsung 860 Evo for less than $60, and the 1TB capacity is well under $200. Sometimes prices on Amazon get a little on the ridiculous side. If you're looking for a new SSD, today is one of those days. 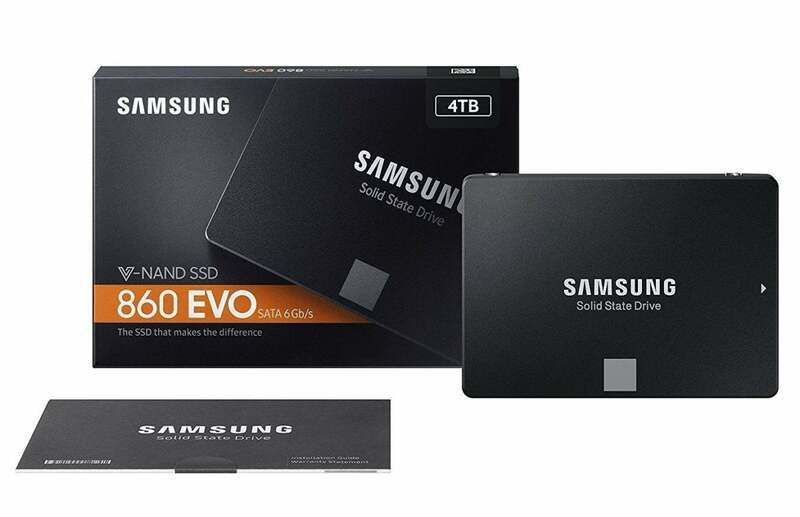 The 250GB Samsung 860 Evo is just $58Remove non-product link while the 1TB version is $170Remove non-product link. The 1TB version is also available for the same price in the M.2 form factorRemove non-product link. Those are all the lowest prices we've ever seen for these drives. The prices on both of these capacities have been steadily dropping for a while, but these are the lowest we’ve seen for the 860 Evo, and there’s equally no guarantee they won’t go back up again. The Samsung 860 Evo is one of our favorite drives and our current top pick as the best SSD for most people in our round-up of the best SSDs of 2018. When we reviewed it, the 860 Evo was the fastest triple-layer cell (TLC) SATA drive, and it performed really well when copying a massive 80GB file. Typically, massive files can take a while to write to disk due to caching issues, but the 860 Evo was a champ under pressure. However, if you can afford it, we’d highly recommend going for the 1TB version. You get four times the capacity of the 250GB version for just a hair more than three times the price. Not bad at all. Though at $58 it’s hard to pass up this deal if all you need is a zippy boot drive for your PC. If you’d like something even zippier for quite a bit more, the 1TB 970 EvoRemove non-product link with its speedy NVMe interface is $298 right now on Amazon. That’s about $40 off its most recent price and another all-time low for this drive.